Why should rural news media leave a monumental election for president to the big newspapers and networks when all politics is local? "If dailies rely on The Associated Press, the coverage won’t be localized. If weeklies just stick to local news, they will ignore a major topic of discussion among their readers – who, in the dozen or so swing states, can provide the margin of victory or defeat. And covering the race can help a newspaper’s maintain and build its brand as the most authoritative local source of news and information." So says Al Cross, right, director of the Institute for Rural Journalism and Community Issues, who will present a no-holds-barred webinar on Friday, June 22, to help smaller newspapers cover the 2012 presidential election. The webinar will come from Online Media Campus, sponsored by the Southern Newspaper Publishers Association and the Iowa Newspaper Foundation. During the hour-long event, Cross will explain why AP, as great at it is, can never provide what the local paper can: the meat and potatoes behind the a major topic of discussion on the lips of its readers. Even in non-contested states, there will be much talk about the race, and efforts to associate nominees with candidates in their parties, favorably or unfavorably. How to identify federal issues that affect your community and where to get reliable information and candidates' positions. How to exercise leadership on your editorial page. 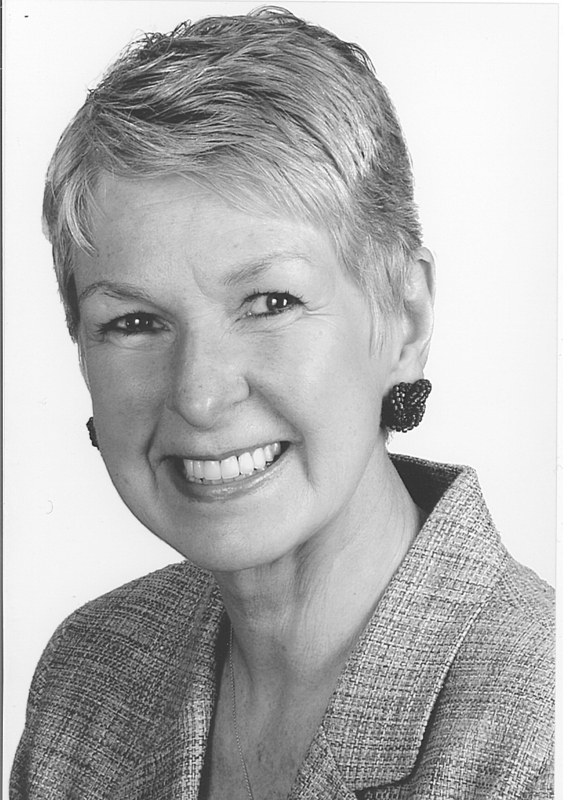 Cross came to the Institute in 2004 after a long and distinguished career as a political reporter for The Courier-Journal. He still writes a political column twice a month for the Louisville newspaper and is a commentator on election programming on Kentucky public television and radio. His awards include a share of the 1989 Pulitzer Prize to The Courier-Journal staff for its coverage of the nation's deadliest bus and drunk-driving crash. The webinar will be held from 2 to 3 p.m. Eastern Time. The cost is $35 and group discounts are available. For more information visit www.OnlineMediaCampus.com, or go here. 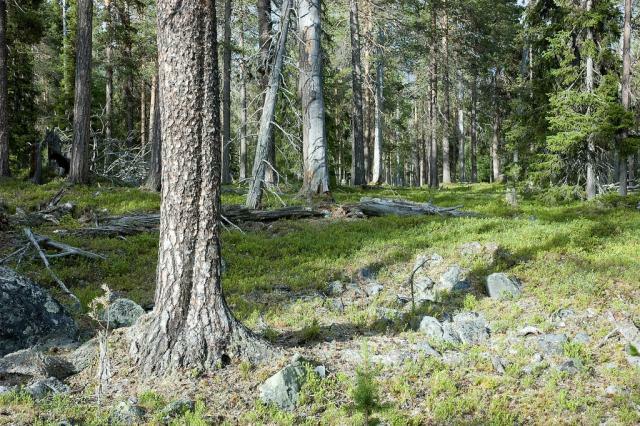 The authors of the Finnish study, reporting their findings in The Proceedings of the National Academy of Sciences, say declining biodiversity may be a contributing factor to the chronic rise of allergies and other chronic inflammatory diseases among urban populations worldwide. They add that it is likely that reduced contact with the natural environment is resulting in a poorer immune system. Susan Perry of The Minnesota Post reports that the study notes children raised in rural areas are exposed to a broader array of friendly microbes, "which may protect their bodies against allergies, asthma and other inflammatory diseases." The researchers proposed that children interact early with the natural environment -- be it in city parks or in rural settings and forests -- for this could be essential for the development of their immune system. Let there be broadband. This week, the Federal Communications Commission set up a $300 million Universal Service Mobility Fund. Its sole purpose is to speed up the process by which experienced private sector wireless companies get into rural communities to begin offering wireless service. Nicole Payola Wood reports for the Daily Yonder that the FCC is going to run "reverse auctions," in which the low-bidder in certain communities will receive government funds for setting up service, thus defraying some of the extra expense of serving remote communities. The bidding period opens next month. Wood writes that winning bidders will have to get service up and running within two years for installing 3G service and three years for the more advanced 4G services that wireless companies offer in most urban areas. Weed experts are calling it a "plague of super weeds" that has already spread to more than 12 million acres of U.S. farmland, beginning in the Southeast, and now moving to the corn and soybean regions of the Midwest. Reuters' Carey Gilliam reports that weed scientists met in the nation's capital this week to discuss the problem, which they say will threaten food production by limiting crop yields if not addressed. "This is a complex problem," weed scientist David Shaw told the national summit of experts, who were set to come up with a plan to battle the problem. The Monsanto herbicide Roundup has been extremely effective for decades but some weeds have developed a strong resistance to the glyphosate-based product. Experts say farmers have been too dependent on chemicals, and a back-to-basics approach is called for. "The same rural, low-income white voters who fiercely resisted Obama in 2008 are just as adamant now," Steve Kornacki writes for Salon, looking at some recent primary-election results: Federal prison inmate Keith Judd won 41 percent of the statewide vote against President Obama in West Virginia’s primary last week, and "an antiabortion fanatic" outpolled him in 15 Oklahoma counties in March, "and nearly walked away with a convention delegate." The next primaries are May 22 in Kentucky and Arkansas. In Kentucky, Obama's only opposition is "Uncommitted," but in Arkansas, he faces Chattanooga lawyer John Wolfe Jr., who "fits the basic profile of a fringe presidential candidate – zero name recognition, no obvious base of support, a total lack of money, organization and media attention, multiple quixotic bids for local and federal office – but in the wake of the West Virginia verdict, I’m guessing he’s feeling good about his chances," Kornacki writes. Wolfe, left, has lost three elections and one primary for the U.S. House elections, a Chattanooga mayoral race and a 2007 Democratic primary for the a seat in the Tennessee Senate. "The results have never been close, either, and the ’07 race ended with state election officials levying a $10,000 fine against him for failing to file a campaign finance report," Kornacki reports. "Five years later, he still hasn’t paid it, and so he’s currently banned from seeking municipal or state office in Tennessee." The West Virginia result was "disgusting," The Charleston Gazette said in an editorial. "most didn't know they were choosing a criminal. They simply picked "anyone but Obama." The inmate outpolled the president in nine counties. Further, about 25,000 other West Virginia Democratic voters skipped the presidential race entirely. Although Obama easily won, it's nonetheless a blemish on the state that Keith Judd -- confined to a federal cell -- took 41 percent of West Virginia Democratic votes, almost the same number garnered by Republican Mitt Romney." However, says Larry Lev, a professor in the Department of Agricultural and Resource Economies at Oregon State University, it's also a byproduct of competition from foreign and domestic agribusiness, encouraging more independent farmers to try direct retailing. Near Mayo, Ky., in the hills of the Outer Bluegrass, Lois Mateus (right) and her husband, Tim Peters, regularly invite crews of inner-city Louisville kids to their farm to see where food comes from -- and to smell the compost, gain some respect for plants, pick some peppers, collect eggs from real chickens, drink some mint tea and touch the limestone from which so many of the area's historic fences are built, Mateus writes in the May edition of Mercer's Magazine, a monthly publication of The Harrodsburg Herald, a strong, independently owned weekly. Mateus' and Peters' outreach is aimed at the sixth graders at Nativity Academy, a school with a multicultural population that has few open spaces. The students are "carefully selected for their potential to enter high schools with strict academic requirements," reports Mateus, who is on the advisory board of the Institute for Rural Journalism and Community Issues, which publishes The Rural Blog. Peters and Mateus make sure the kids see and smell the vegetables and herbs, but also, she writes, understand what it takes to get the soil ready for cultivation and what it takes to harvest crops. They explain plant nourishment and the role of beneficial insects. It's really an opportunity, Mateus writes, to bring out the farmer in them, and to teach conservation, recycling and water resource management to those who have never thought of where their daily meals came from. 'They can't stop asking questions, about the vegetables and herbs and flowers," she writes. "Everything has been a revelation." 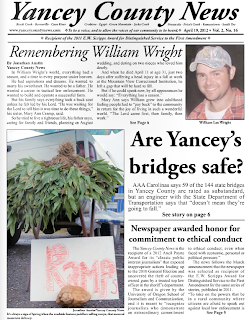 For the full story, click here and when prompted, go to page 16 of the magazine. Vermont is likely to become the first state to ban hydraulic fracturing, or fracking, for natural gas, reports Jason McLure of Reuters. The Vermont House of Representatives voted last week to approve a conference committee report calling for the ban, thus reconciling itself with a previously agreed-upon Senate bill. The measure will be sent to the desk of Democratic Gov. Peter Shumlin, who will sign it. Farmers nationwide are frustrated with the federal H-2A visa program for seasonal agricultural workers. Most of the complaints center on the amount of what one farmer in Idaho is calling "minutiae" and an abundance of paperwork, reports Sean Cockerham of the Kansas City Star. It's a growing problem, according to Michaelene Rowe of the Snake River Farmers Association, an Idaho-based group that helps farms with visa issues. Getting a temporary H-2A visa for a foreign farm worker to enter the U.S. is a confusing and painful process for an employer who is trying to follow the rules and only hire legal workers, Rowe said. "This is counterproductive to the national discussion and political rhetoric related to the need to employ only legally documented workers." Employers say that to use the program they have to deal with multiple agencies, including the Department of Labor, the Department of Homeland Security and the State Department. Farmers recently sent a letter to six U.S. senators asking for relief. The Labor Department says it has been working with farmers to process applications more efficiently. In a 10,000-square mile area of southeastern North Dakota, 100 percent of one telecommunication company's customers are connected to the Internet by fiber-optic lines. That's remarkable, reports Dakotafire, given that just two years ago only 3 percent of U.S. households were connected to the Internet via their computers by fiber-optic technology. It begs the question: How did this happen in this rural area? Heidi Martilla-Losure writes that when Dickey Rural Networks of Ellendale, N.D., saw its copper transmission equipment needed replacing, it chose fiber-optic technology, which works more efficiently over long distances, and can provide incentives for economic development. With a boost from a federal grant to Dakota Central Telecommunications to provide the upgrades, the area became "the largest all-fiber network in the U.S., possibly the world." Now the schools in the region are offering more long-distance learning options and are providing more technology in the classroom. The local hospital has connected to out-of-region, board-certified specialists that provide instant emergency assistance to far-flung patients. Martilla-Losure reports that other telecom companies in the state are taking up the challenge to provide more rural communities with more fiber-optic range and speed than ever could have been imagined even a few months ago. "Dakotafire is a new journalism project that pools the resources of community newspapers and rural experts to report on issues of importance to rural communities in the James River watershed area of North and South Dakota," it says on its website. 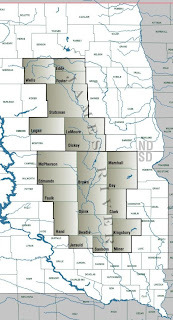 Its coverage area (right) is seven counties in North Dakota and 14 in South Dakota. The three-year project is part of the Knight Community Information Challenge of the John S. and James L. Knight Foundation, which gave it $240,000. It got $60,000 from the South Dakota Community Foundation, and additional support from Dacotah Bank, other foundations, and corporate and individual sponsors. 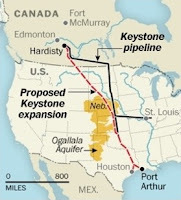 It is run by Dakotafire Media LLC, of Frederick, S.D., a firm owned by Marttila-Losure and Troy McQuillen. For more about it, go here. 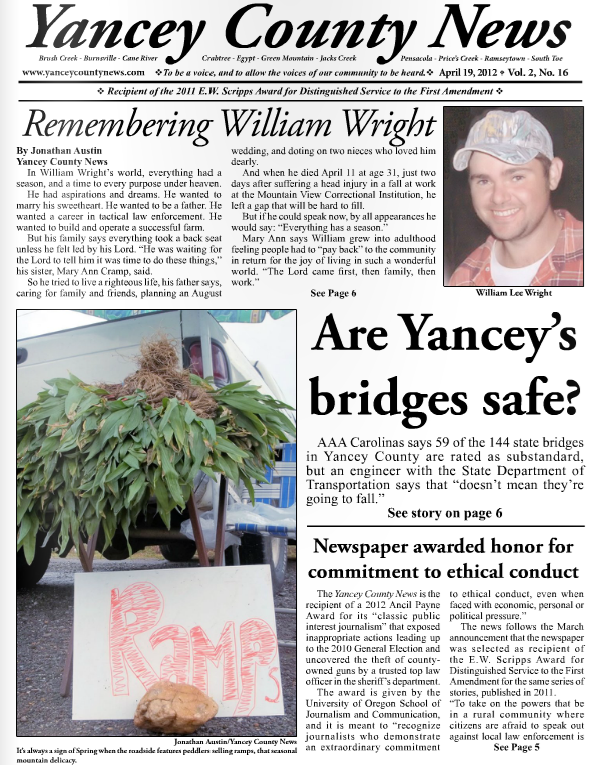 The Yancey County News of Burnsville, N.C., a rural weekly newspaper that is not even a year and a half old, will receive an Ancil Payne Award for Ethics in Journalism next week at the University of Oregon for its battles against local government corruption. Another Payne Award will go to freelance journalists Matthew LaPlante and Rick Egan for ritual killing of children in Ethiopia. Jonathan and Susan Austin started the News in January 2011 after he had spent almost 30 years at daily newspapers in the Southeast and at CNN.com. They challenged an established weekly in the county in the Great Smoky Mountains. Shortly after it began publication, the News revealed a criminal investigation into election fraud involving the sheriff’s department. Later that year, it reported that the county's chief deputy, who evinced a tough-on-crime attitude, was pawning county-owned firearms for personal gain. The work also won this year's E.W. Scripps Award for outstanding service to the First Amendment. The Payne Award judges called the work “classic public interest journalism at great personal and economic risk.” They said, “To take on the powers that be in a rural community where citizens are afraid to speak out against local law enforcement is very brave.To stake your livelihood and personal safety on it is above and beyond. This is an extraordinary example of serving the public good.” For the release on the award, click here. The U.S. Postal Service says it will keep open the rural post offices it proposed closing earlier this year as part of a money-saving effort, The Associated Press reports. 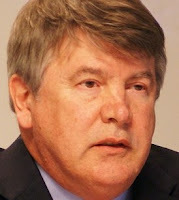 Postmaster General Patrick Donahoe cited community opposition as the reason for shelving the plan and said the USPS would "whittle down" full-time staff, but maintain part-time post offices in rural places with access to retail and post office boxes. No post offices would be closed under the new plan, but more than 13,000 rural mail facilities could be forced to reduce operation hours. USPS said it intends to get community input and seek regulatory approval of the plan, which could take several months. 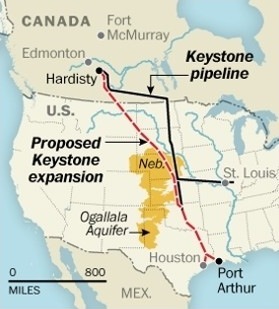 The plan would take two years to fully complete and would save an estimated half-billion dollars annually, AP reports. Communities could chose to keep their post offices at reduced hours, or close an office in one area, but keep one nearby open full-time. 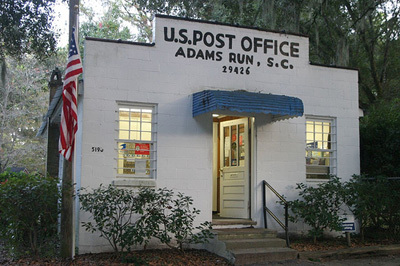 Communities could also opt for alternatives, including "village post offices," in which postal services are housed in other businesses, such as libraries or grocery stores. The agency said the new plan will save more money than closing offices because it will replace full-time postmasters without union contracts with part-time workers. It said 80 percent of its costs in rural areas are labor-related. The plan would offer buyouts to the country's 21,000 postmasters. Save the Post Office's Steve Hutkins says the part-time postmasters will be paid "far less" than full-time, and that this latest move by USPS could allow for closings and consolidations in the future. He also says the new plan will reduce window hours at offices to anywhere between six to two hours a day. The USPS web page about the plan is here. Federal and state mining regulatory agencies are quickly replacing defective emergency breathing devices used by coal-mine inspectors, but coal operators won't have to replace those used by miners until 2013, reports Ken Ward Jr. of The Charleston Gazette. The U.S. 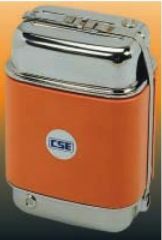 Mine Safety and Health Administration bought 300 new self-contained, self-rescuers, or SCSRs (right), last year and ordered another 600 this year to replace old ones for inspectors. The devices provide one hour of breathable air. The National Institute for Occupational Safety and Health and MSHA announced last month a plan to phase out old SCSRs after an NIOSH report "confirmed long-standing complaints from miners about problems getting the units to work," Ward reports. MSHA spokeswoman Amy Louviere said the purchase of replacement SCSRs for inspectors last year was part of a routine replacement process. Miners who don't have easy access to backup caches of devices must be given new SCSRs within 30 days. The rest of the old units must be replaced by the end of 2013. 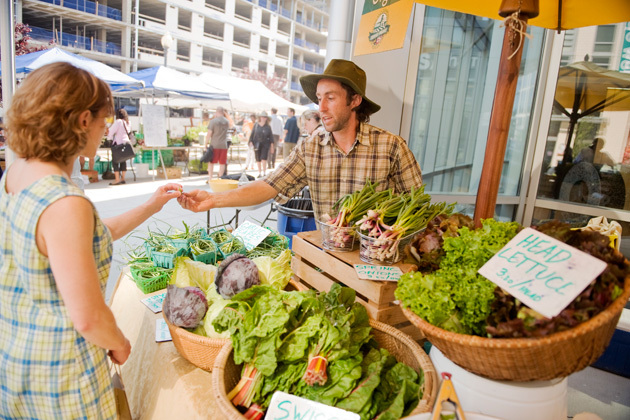 Local-food movement is growing, but what's local? More than half of consumers say it's more important to buy local than organic, according to data from research firm Mintel. However, the government can't track "local food" sales because there's no official definition of what makes food local, and consumers don't always know what they're buying because food at grocery stores labeled "local," is not necessarily grown within 100 miles, a common benchmark. The U.S. Department of Agriculture will provide $33 million in grants and technical assistance to farmers and ranchers to help them "stop polluted storm runoff from gushing into 157 watersheds, including a small portion of the Chesapeake Bay," reports Darryl Fears of The Washington Post. Secretary Tom Vilsack said the program will improve "impaired watersheds in every U.S. state and territory." For a map of the watersheds, click here. Farmers, ranchers and forest-land owners living in "eligible watersheds" can apply for grants beginning May 18. Applications must be submitted by June 15. Eligible watersheds were decided by state water quality agencies from an Environmental Protection Agency list of impaired watersheds. Some of the selected watersheds are Catoctin Creek in Maryland, part of the Chesapeake Bay watershed; the Little Fisher River in North Carolina; the lower South Fork of the Chariton River in Iowa; Eagle Creek (upper White River watershed) in Indiana; upper Hinkston Creek (Licking River watershed) in Kentucky; the Chippewa River in Minnesota; the Upper Cohansey River in New Jersey; the Sakonnet River in Rhode Island; the upper Little Saluda River in South Carolina; Wolf Creek (South Fork of the Holston River) in Tennessee; seven tributaries of Chambers Creek in northeast Texas; the South Fork and Middle Fork of the Palouse River in Washington; and Knapps Creek on the Greenbrier River in West Virginia. USDA's Natural Resources Conservation Service is providing grant funding and will work with state and federal agencies, including EPA and the U.S. Geological Survey, to track the program's results. 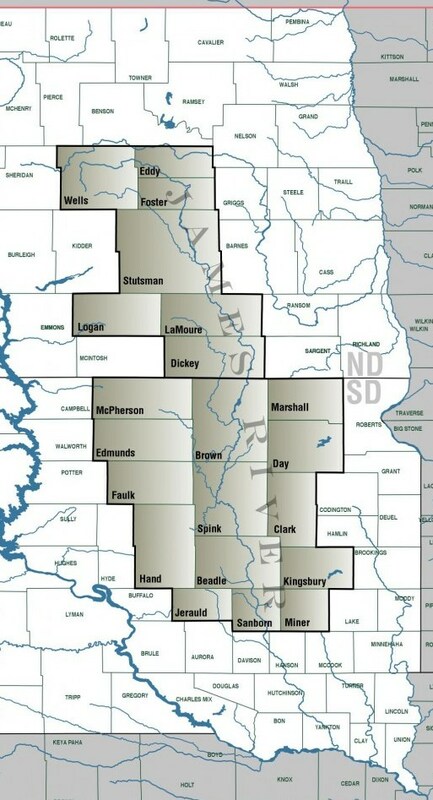 (Read more) The NRSC web page for the program, including a list of the watersheds by name, is here. Beef Products Inc. has permanently closed three of its beef processing plants, saying it could not overcome the "pink slime" controversy, reports Dan Piller of the Des Moines Register. The plants were located in rural areas of Iowa, Texas and Kansas and employed about 650 workers. They were temporarily closed in March after "pink slime" hit the national lexicon and became a media sensation, causing many grocery and fast food chains to stop buying the product, known in the industry as lean, finely textured beef. The new Central Appalachian Institute for Research and Development will host its first annual Regional Network Conference next week in Pikeville, Ky. The conference "is the first step in establishing the vital partnerships that will be necessary for the success" of the organization, according to a press release about the event. CAIRD says it is a non-profit and public policy organization "which provides long-term educational and economic developmental strategies in oder to establish vibrant and sustainable communities that will improve the quality of life for citizens of central Appalachia." It's headquartered at the University of Pikeville and already partnered with more than a dozen universities, organizations and institutions across the region. Chief Executive Officer Jason Belcher said CAIRD will encourage collaboration between area development districts, state and national agencies, other non-profits and private citizens. It will also work as a research center for the region and "create opportunities for scholarly research and development," according to the press release. The Resource Network Conference will be held May 14-15 in the University of Pikeville's Community Technology Center at 119 College Street. For more information about CAIRD or the conference, click here. Randy Thompson, right, has become the face of local resistance in Nebraska to the Keystone XL pipeline, much against his own expectations, reports Charles Pierce of Esquire magazine. 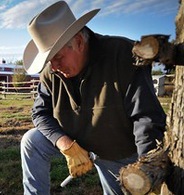 Thompson is a cattle buyer who has testified before the state legislature, Congress and the State Department on behalf of the state's ranchers and rural residents, whose land and water would have been affected by TransCanada's pipeline path. Since he agreed to be the spokesman for Bold Nebraska, a group that's been fighting the pipeline for five years, his face has appeared on T-shirts and hats. Thompson told Pierce he entered the fight because he believes "very strongly in our rights as American citizens to own property and not have other people taking it for their personal gain." Pierce reports "Thompson watched the government stand by, largely idle, while TransCanada bullied him and his neighbors with threatening letters, stonewalled about the effect of leaks on the fragile Sandhills region of Nebraska, and on the Ogallala Aquifer, the massive underground reservoir, already imperiled by drought in some places, that services most of the arable farmland in the country." Dozens of states, counties and cities issued municipal bonds to get up-front billions from states' 1998 tobacco settlement with tobacco companies, but many of those governments are in the "earliest stages of default" because people are smoking less and cigarette makers are making less money, Mary Williams Walsh of The New York Times reports. Also, $8 billion in settlement payments are in dispute. At least three states and one county -- California, Ohio, Virginia and New York's Nassau County, on Long Island -- have been forced to use "special tobacco-bond reserves" to pay bondholders, Walsh reports. The squeeze has a broad impact on the tobacco-growing states of Kentucky, North Carolina and Virginia, which allocated up to half of their settlement money for developing their rural economies. The $55 billion in outstanding tobacco bonds could creates the potential for "full-blown defaults more than a decade from now," an analyst told Walsh. The pending legal battles over settlement money could create bigger problems sooner, she reports. Noting that no study has yet to show any harmful health effect from eating genetically altered food, Coleman begins with its costs, which are high. There's hardship in implementation, especially in developing countries; the method's expanded use of pesticides, as it tries to avoid the mistakes of industrialized, non-green agriculture that ultimately can destroy land long-term. Making use of a proposal from the Commission on Sustainable Agriculture and Climate Change, Coleman writes that the solution is complicated and multi-faceted. Yet, with Western consumers throwing away one-third of the food they buy, and much food left to rot because it cannot get to consumers who need it, the questions remain about what is to be done. Coleman concludes she'd opt for the genetically manipulated: "I would take the unproven fears of Frankenstein over the inevitability of the Grim Reaper that promises the near certainty of continuing poverty and food crises in poor countries." The Lakota Logging Project has trained about 15 Native Americans and plans to train more. It is the largest project ever created to help fight the beetle epidemic. The mountain pine beetle attacks infects the wood with fungus, staining the wood blue, which can reduce its value by two-thirds. The beetle has affected thousands of trees in the western U.S. and threatens the already struggling timber industry. 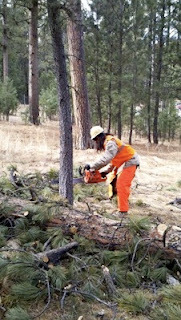 The best way to slow infestation is to remove infected trees because beetles are poor fliers and can't travel far. The number of rural homeless rose 57 percent from 2007 to 2010, according to national data about homelessness, and the lack of resources in rural places leads many to search for help in urban centers where opportunities for temporary housing, food and job-training are more readily available. Rose Krzton-Presson of WKMS-FM, the public station at Murray State University, reported about the rural homeless issues facing Kentuckians in the state's far west. The Kentucky Housing Corporation funds about 50 projects for the homeless in 118 Kentucky counties. There were 325 homeless people in the Pennyrile and Purchase areas of Western Kentucky, according to the KHC's annual census of homeless people. Krzton-Presson reported that young women who are single mothers or survivors of domestic abuse comprise the majority of rural homeless in the state. "Precarious housing," or living in cars, condemned buildings, barns or with relatives, is another prominent feature of rural homelessness in the state, she reports. 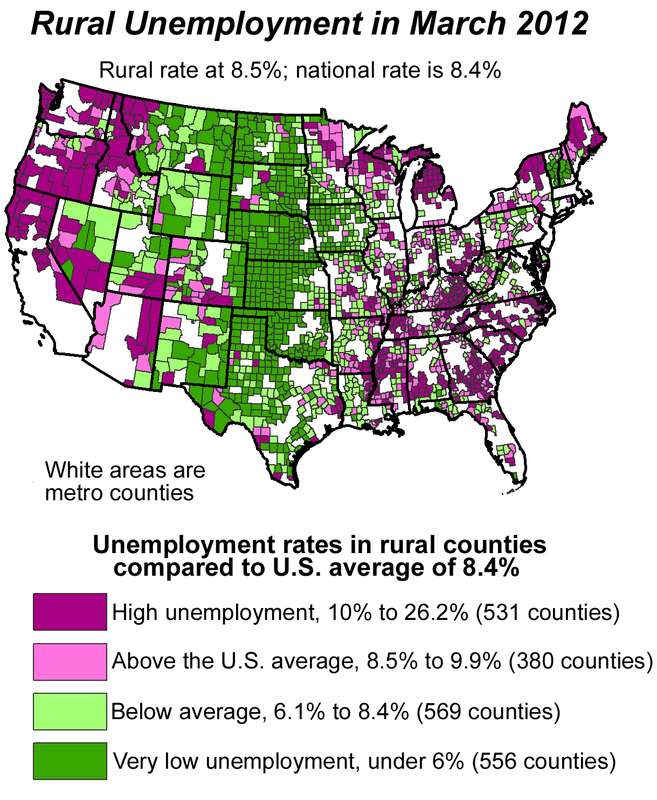 The good news for President Obama is that unemployment in rural America is dropping. Some rural counties are even adding jobs, or were, judging from the numbers from February to March. But the Daily Yonder notes that political analysts are looking at the economies of states expected to be highly contested in the November presidential election -- let's call those "swing states" -- and, in those, rural unemployment is not so good. And the climb for the incumbent, analysts say, is all uphill. 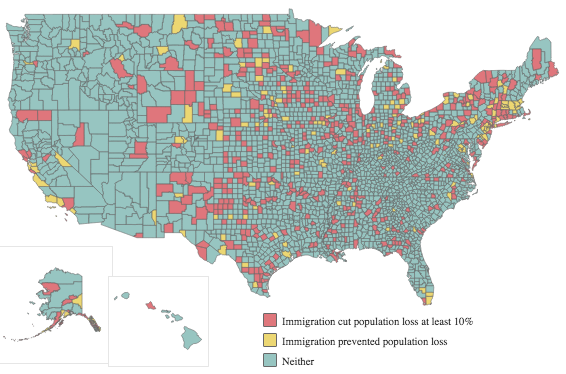 As the map, above, shows, each state has its own issues. A look at the battleground states (go here for more charts) reveals 8 of the 13 agreed-upon battleground states have an unemployment rate that's above the national average. Four of those battleground states have unemployment rates above 10 percent. But Florida, a crucial election state, has a slightly lower jobless rate, with Pennsylvania, Virginia, New Mexico and New Hampshire all doing better than the national average. Farm kids have fewer allergies than other kids and Amish farm kids -- at least those raised in northern Indiana -- are even less allergic than them, according to a recent study. The scholarly work, reported in the Journal of Allergy and Clinical Immunology, was spearheaded by Dr. Mark Holbreich, an Indianapolis doctor who noticed that the Amish children he treated almost never contracted allergies or asthma. His study set out to see if he was right. Kerry Grens reports for Reuters that Holbreich, who had read that Swiss farming families also had a history of few instances of allergy and asthma complaints, tested Amish farm children in Northern Indiana, Swiss farm children and Swiss children who didn't live on farms. Only 5 percent of the Amish kids were diagnosed with asthma and 7 percent were determined to be predisposed to have allergies. A mere 6.8 percent of Swiss farm kids were diagnosed with asthma and 25 percent were likely to develop allergies, as determined by skin-prick test. Twenty-five percent of the non-farm kids were giving an asthma diagnosis and 44 percent were predisposed to allergies. No definitive reason was given by the study's authors as to why the farm kids were healthier. Holbreich seemed to think drinking raw cow's milk was involved. "The going theory," writes Grens, "is this early exposure to the diverse potential allergens and pathogens on a farm trains the immune system to recognize them, but not overreact to the harmless ones." The Food and Drug Administration has issued new voluntary guidelines to the U.S. agriculture industry advising that antibiotics be used on livestock only to treat or prevent illness. This follows years of discussion and decades of use of the drugs in well animals. The FDA's condemnation of the previous practice comes as antibiotic overuse has led to several types of bacteria becoming drug-resistant and posing serious danger to humans. Beth Marie Moje reports in the San Jose Mercury News that the Centers for Disease Control has pointed to the creation of these "superbugs" as critical and growing. Just one of the types of resistant bacteria, something called Methicillin-resistant Staphylococcus aureus (MRSA), writes Moje, found in both farms and hospitals, has been estimated to kill more people than AIDS. 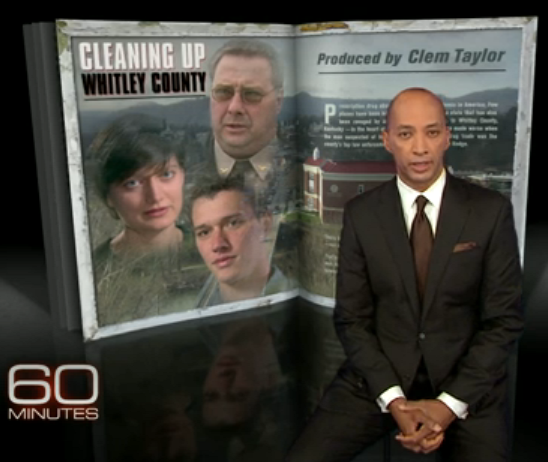 The story of how a 6,000-circulation paper in southeast Kentucky got the local sheriff indicted and jailed has been told before on The Rural Blog, most recently here, but it got a fresh telling and a much larger audience tonight on CBS-TV's "60 Minutes." 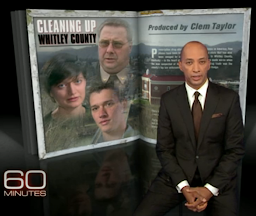 Managing editor Samantha Swindler and reporter Adam Sulfridge of the Corbin Times-Tribune "soon discovered poking into the affairs of a powerful county sheriff can be risky business," Byron Pitts said in the segment produced by Clem Taylor. Cut to Sulfridge: "You're 20 years old, and you're taking a shower one day and getting ready for class, and you get a call from a federal agent because there's a credible threat against your life. . . . And it's the sheriff. The sheriff wants to kill you." Sulfridge said that made him buy a gun, and though he never used it, letting it be known that he had it may have saved his life when, as Pitts put it, "Two local thugs, friends of the sheriff, drove to Adam's house." Sulfridge picks up the story: "The passenger in the vehicle gets out, approaches me without saying a word, puts his hand a little bit into his waistband and I just quickly pulled my pistol. . . . I didn't point it at him or anything. And he explained that they were out looking for junk metal on my dead end street, and that they would be going now." Asked if he was prepared to use the gun, Sulfridge said, "Well, you never pull a gun unless you're prepared to use it." After that, he left town under the protection of federal agents. Swindler, who had come to the paper from her native Texas, and Sulfridge had struck paydirt by catching Sheriff Lawrence Hodge in lies about confiscated guns, lies he tried to cover up by staging a fake burglary of his own office. "You know, you got this, this, little out-of-towner girl and this 20-year-old college kid," Sulfridge recalled. "We played along, we played nice for a very long time. Let him lie." A federal Bureau of Alcohol, Tobacco and Firearms agent told Pitts that his agency couldn't pierce Hodge's protective network, but "They caught him off guard 'cause they'd done their research." Hodge lost his re-election bid and was indicted before leaving office. To watch the segment, click here.